1939 • John Steinbeck’s Grapes of Wrath was published. 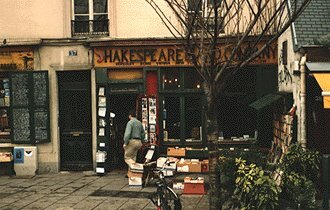 1887 • Sylvia Beach founder of Shakespeare and company was born. company books • it seems book clubs are going great guns in this day and age. Here’s a nice report from a Cinicinnati paper. Makes me wanna just run right out and make me some new friends. radio notes • by popular demand I must insert a plug for Says You radio program, which is brilliant radio, unfortunately to listen to past shows you need to pay for them from Audible.com, . Check the schedule to find your local broadcast. And if you root around you can find repeat broadcasts of the BBC show My Word that inspired Says You. dystopia watch • In little-known case, the PA Attorney General’s Office has seized four hard drives from a Lancaster newspaper as part of an investigation into leaks to reporters. • MA – there is an exhibit of illustrator Tomi Ungerer’s work at the Boston Public Library through March 31st. WBUR has a nifty slide show. • VT- book artist Claire Van Vliet will speak on “Papermaking Collaborations in the Publication of Janus Press” on March 16 at 4 p.m. in the University of Vermont’s Bailey/Howe Library. Her post-1990 work is on display through April 30 in celebration of the 50th anniversary of the Janus Press. • CAN the 14th annual Westmount (Montreal) Antiquarian Book Fair, will be held at Selwyn House School this Sunday, March 19. A Westmountl paper has a good piece on the Montreal book scene. who knew? • There is a travel agency online just for people with a literary bent, called…wait for it . . . Literary Traveller. Started by a young ambitious couple who figured out a way to turn something they like to do into a money making concern, something I have never been able to master. But if anything their site is full of lovely articles well worth reading. 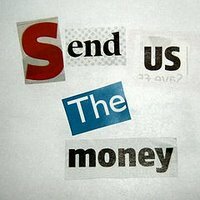 banktoaster • the BBC has a nifty site set up for writer wannabees, Get Writing which among other things has got a cool tool that lets you randomly sort cut out words, a la William S Burroughs, and is incredibly useful for writing ransom notes.